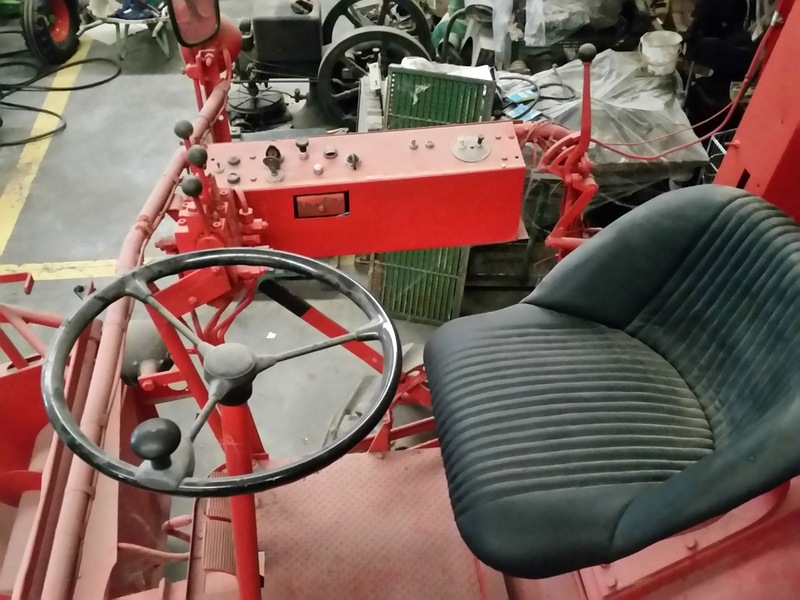 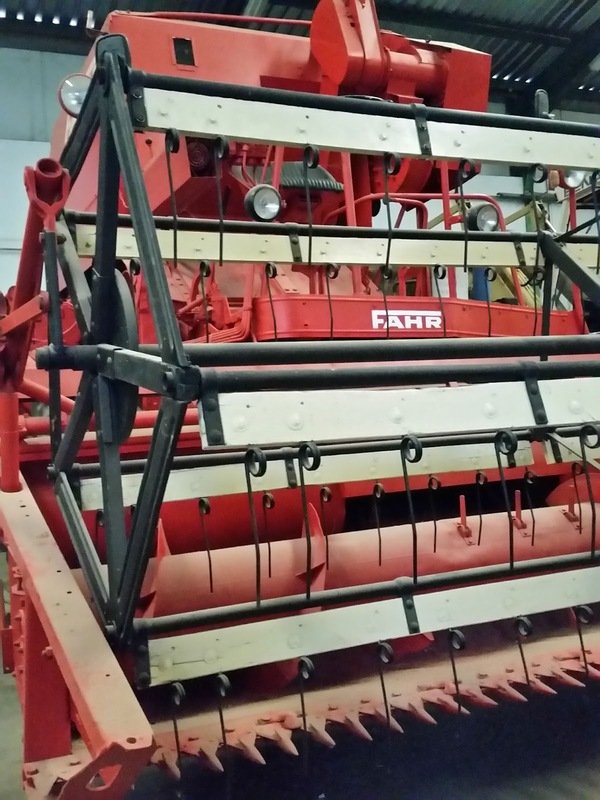 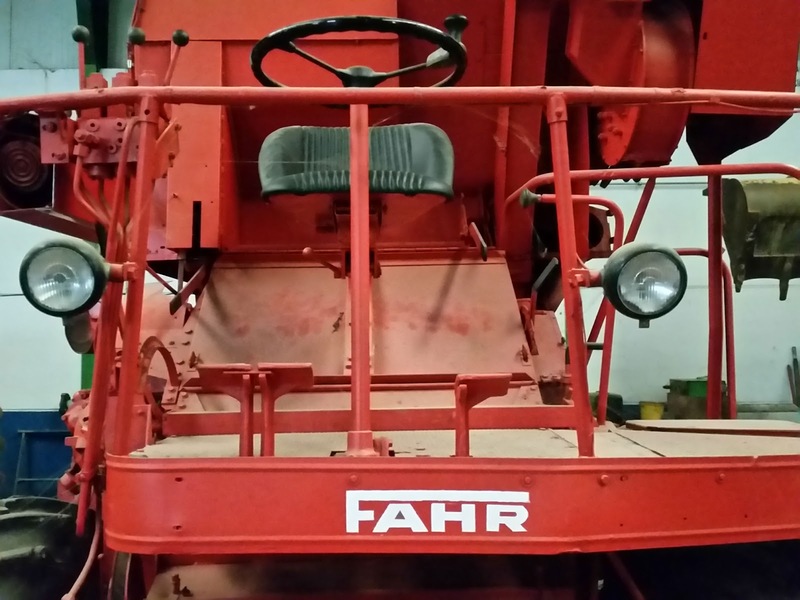 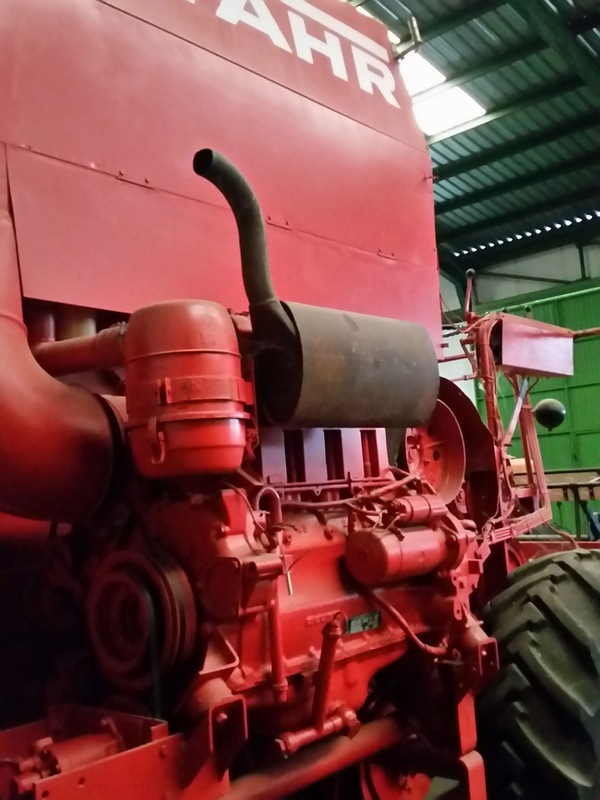 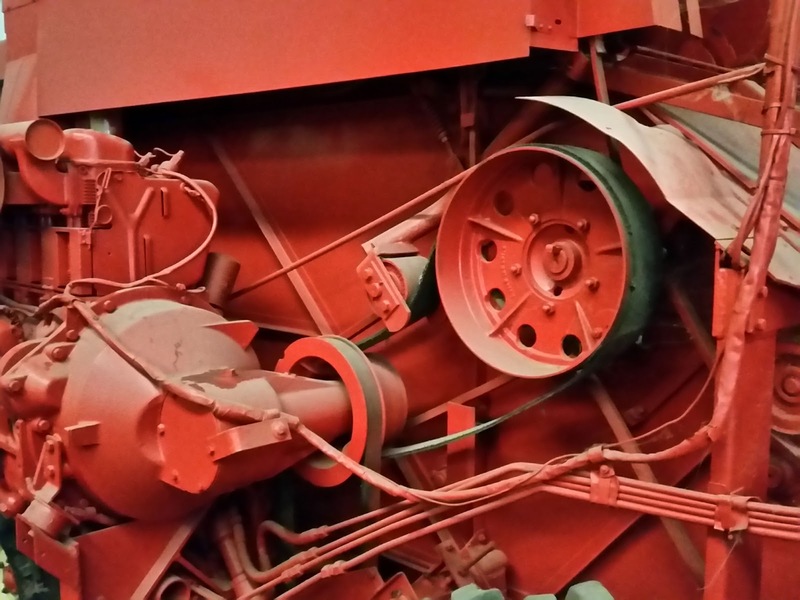 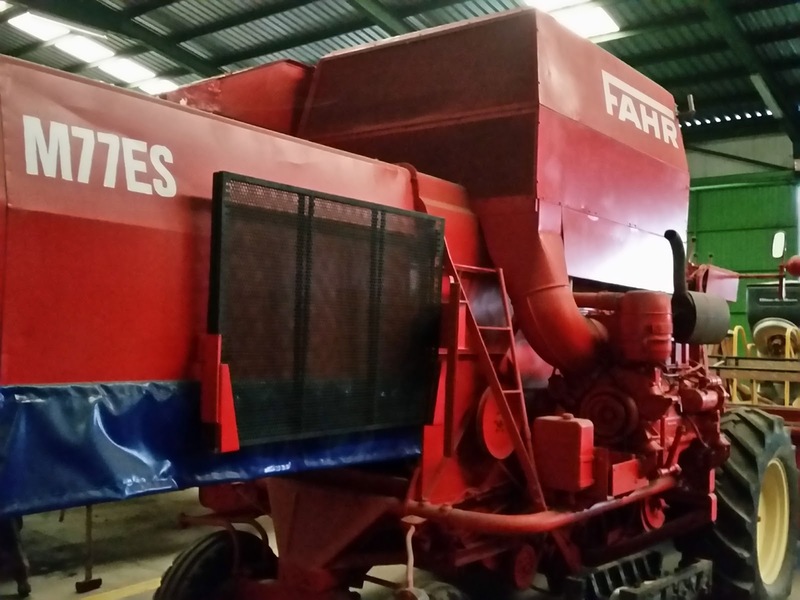 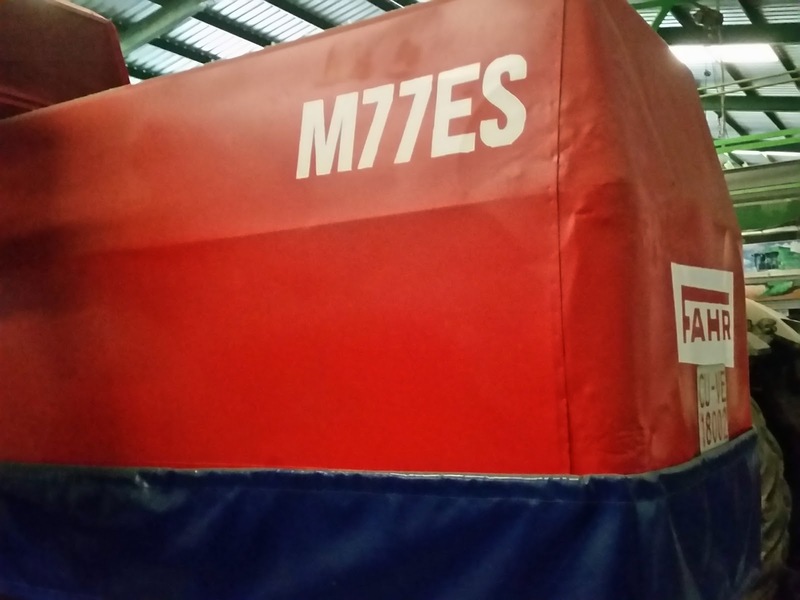 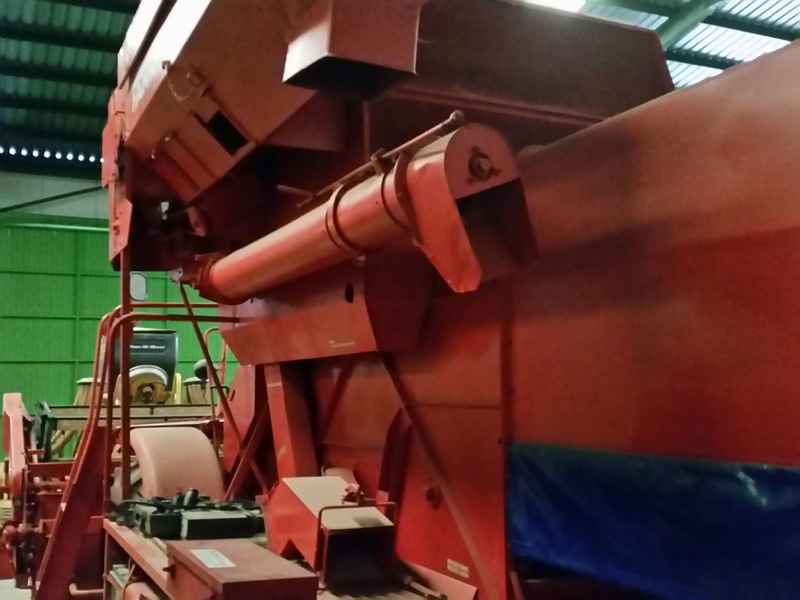 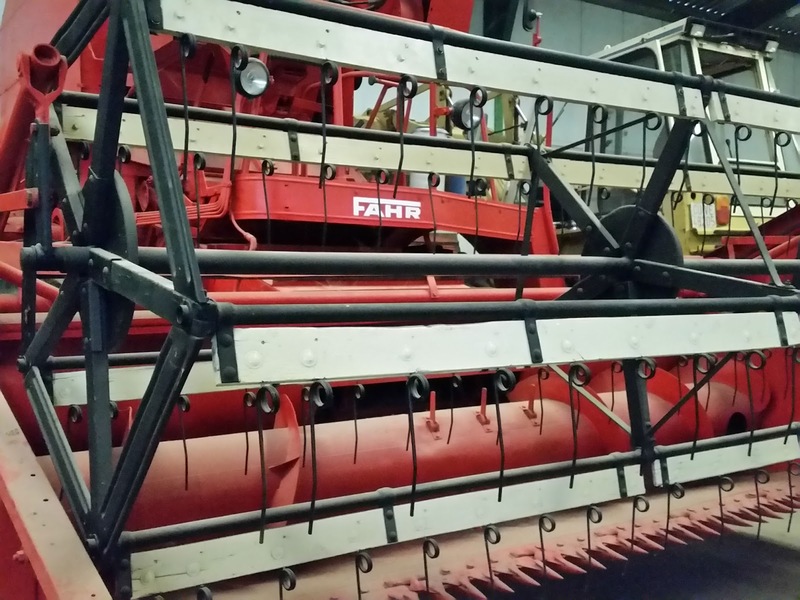 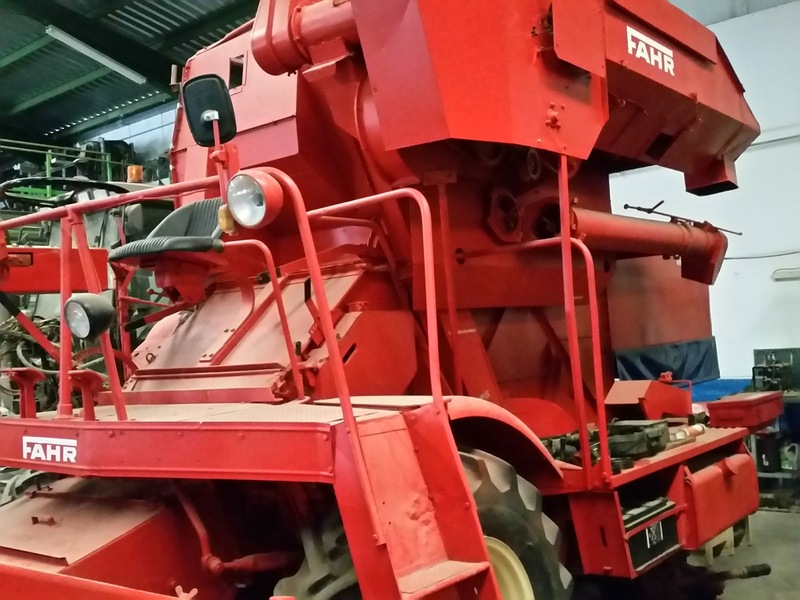 A few months ago, we visited our friend Manolo who showed us an old Fahr M77ES combine... it is a real gem. 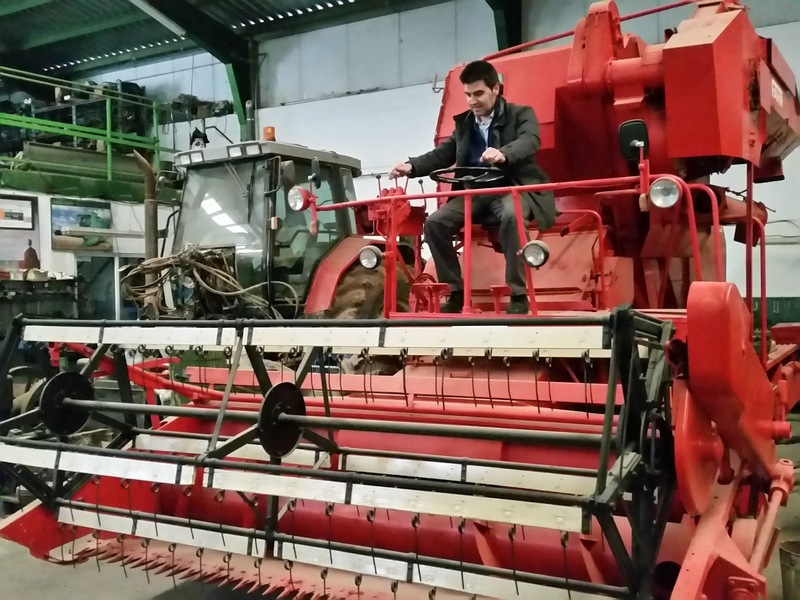 Farming machinery has changed a lot and specially combines which have changed from this model that began to work in the 60’s. 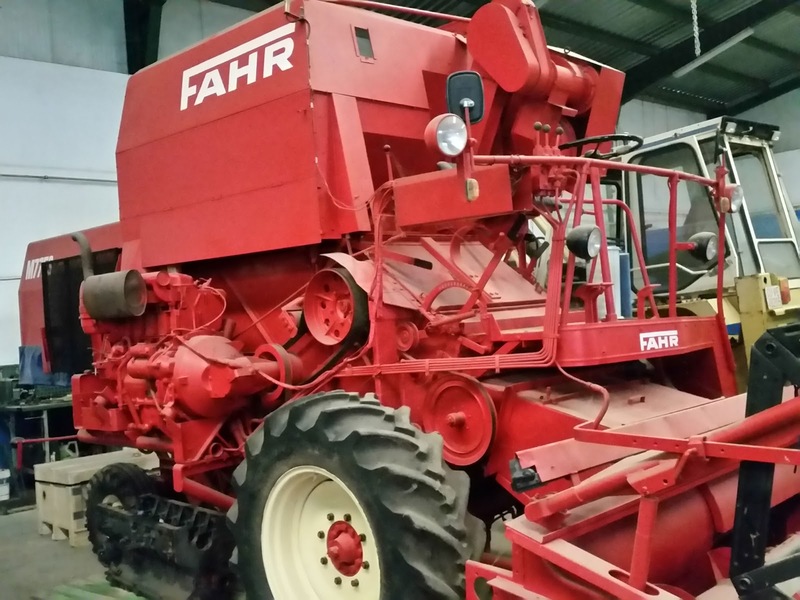 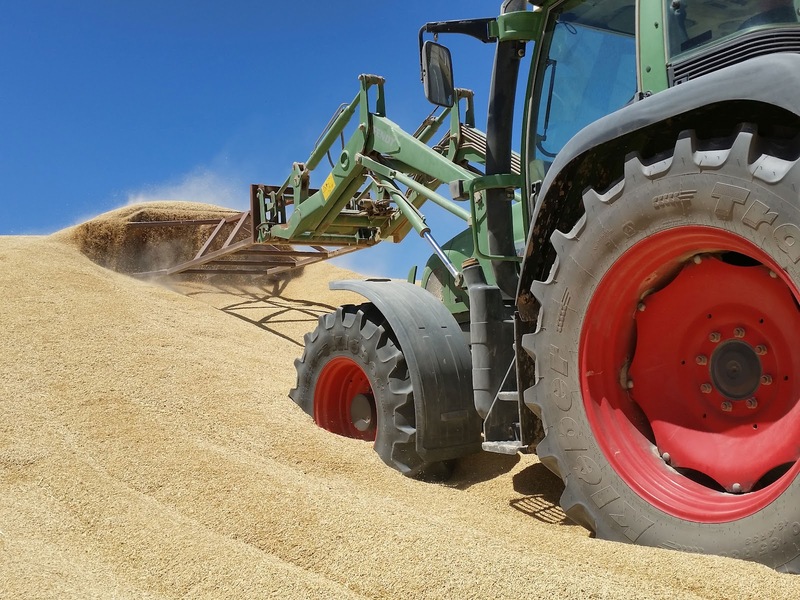 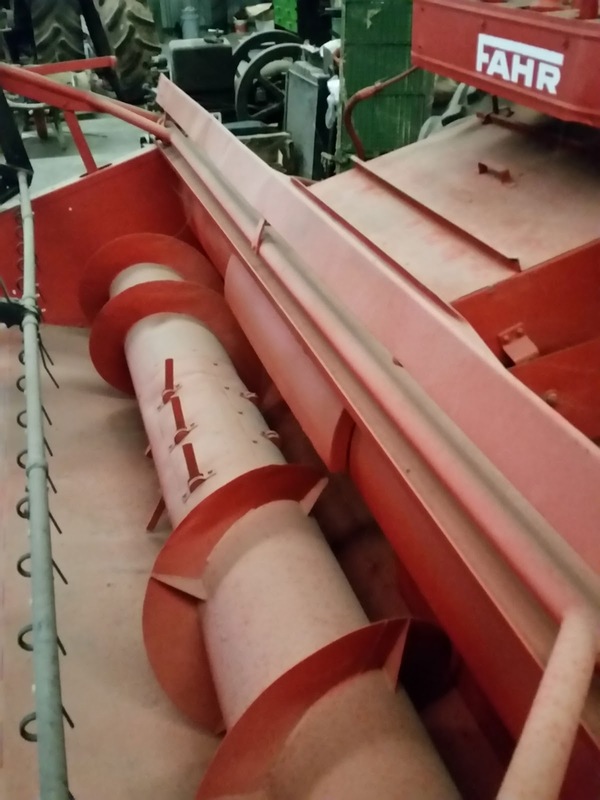 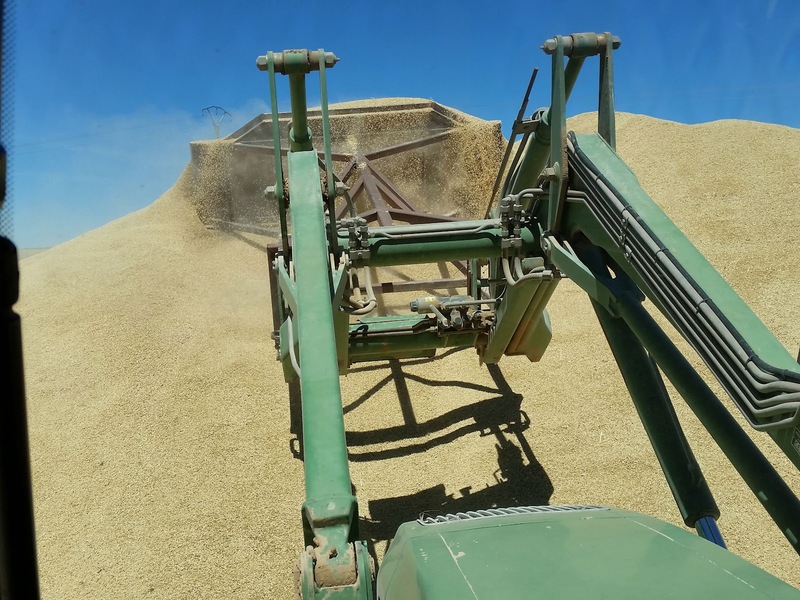 We have published some posts about Claas Dominator, Medion and Lexion combines, talking about the fantastic New Holland CX and TX Series or about nice Deutz-Fahr 6095 HTS, but when you see an old combine it is special and we think, how we could work with it (it hasn't cab, air conditioning, electronic control units to command the combine,...) in the Spanish summers with 40 degrees of temperature. 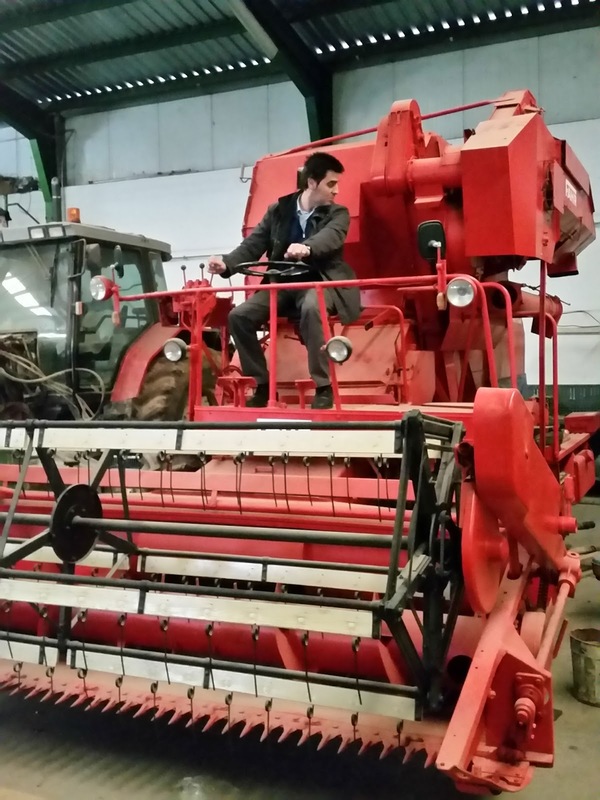 Maybe, it was really hard but it should be better than the age when farmers harvested manually using only a sickle. 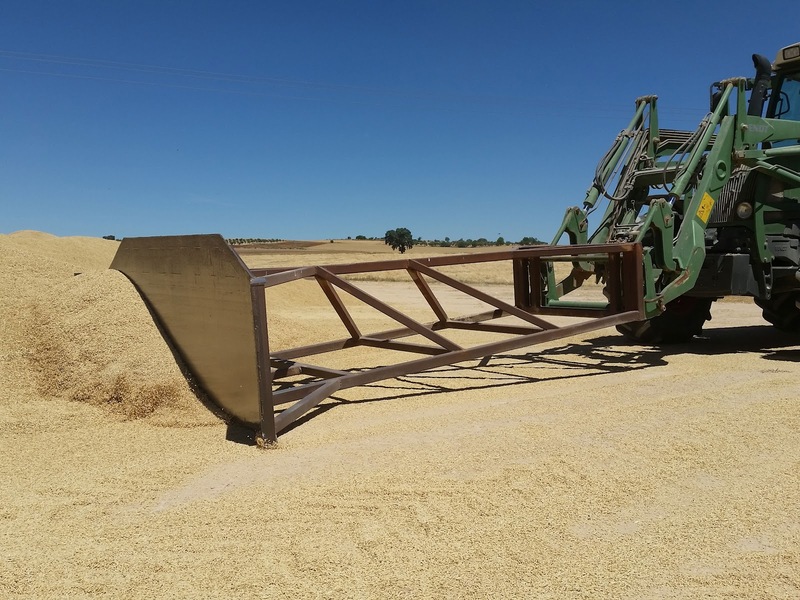 These days, we are harvesting cereals and pulse vegetables. 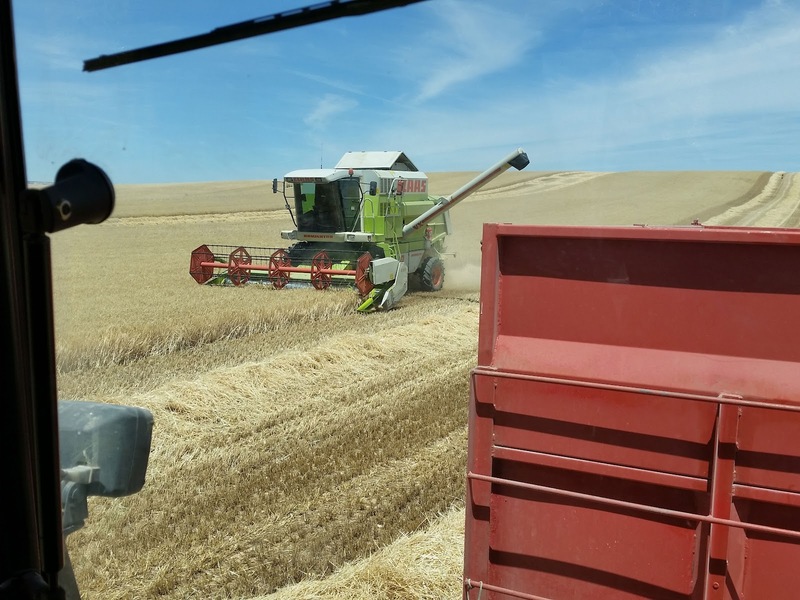 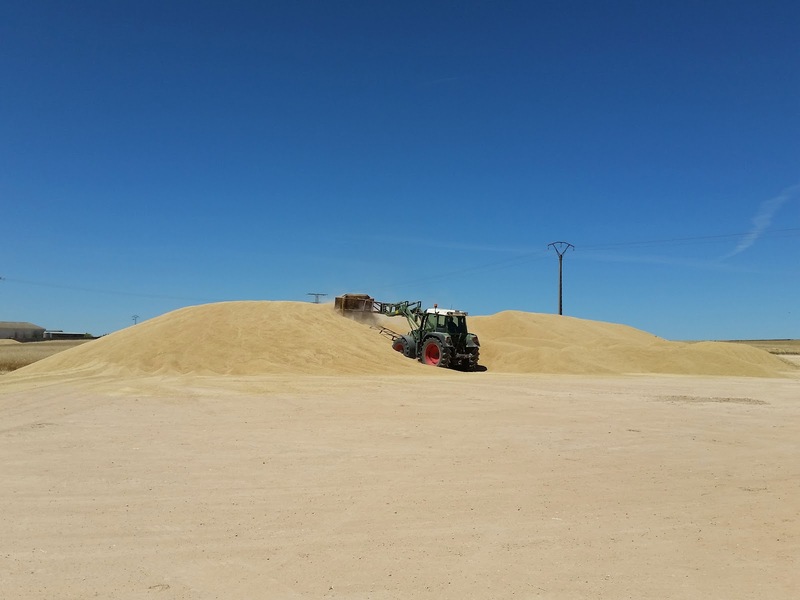 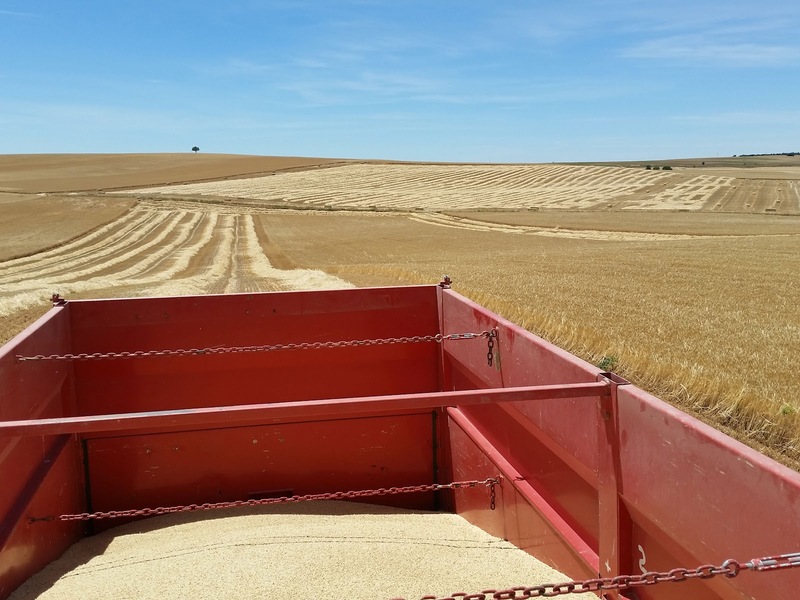 This year, definitely, it is special because our yields are being really good. 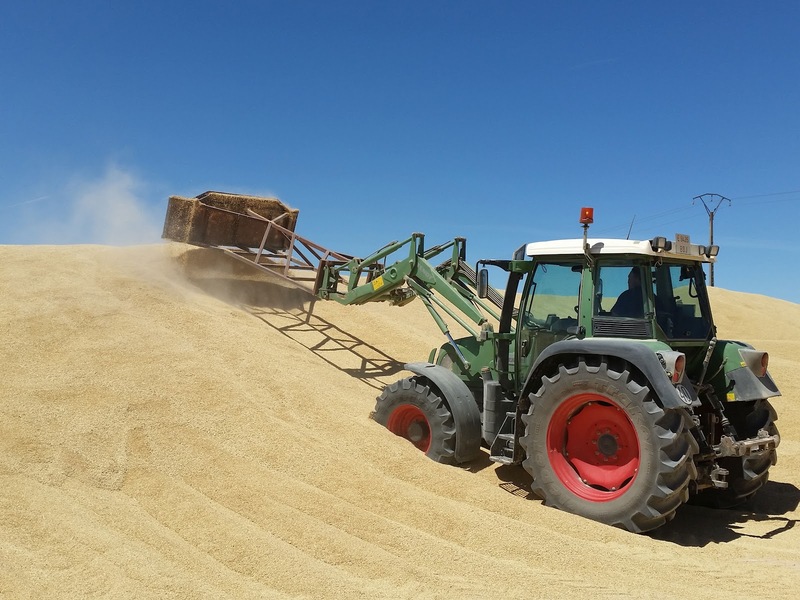 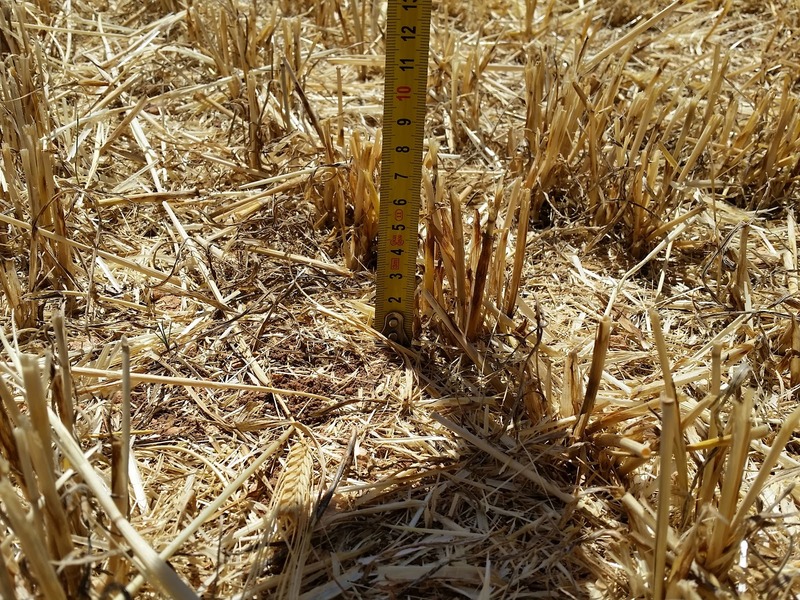 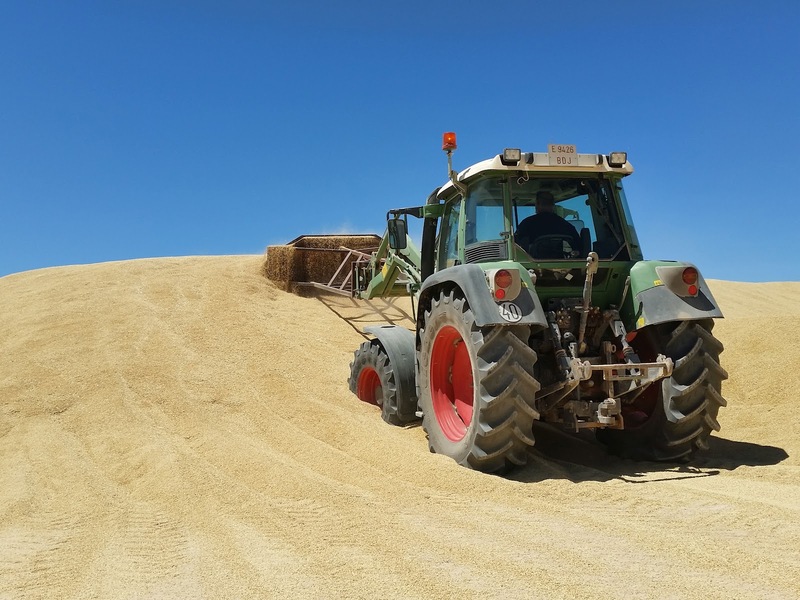 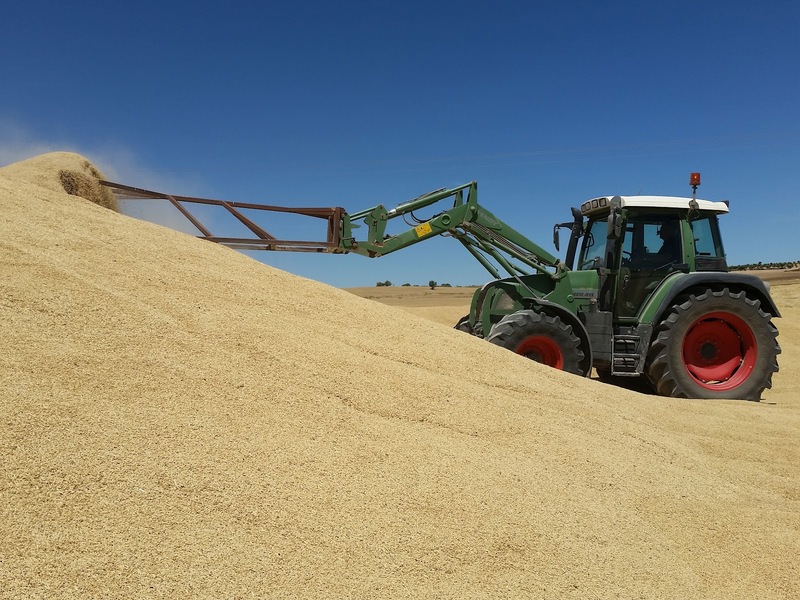 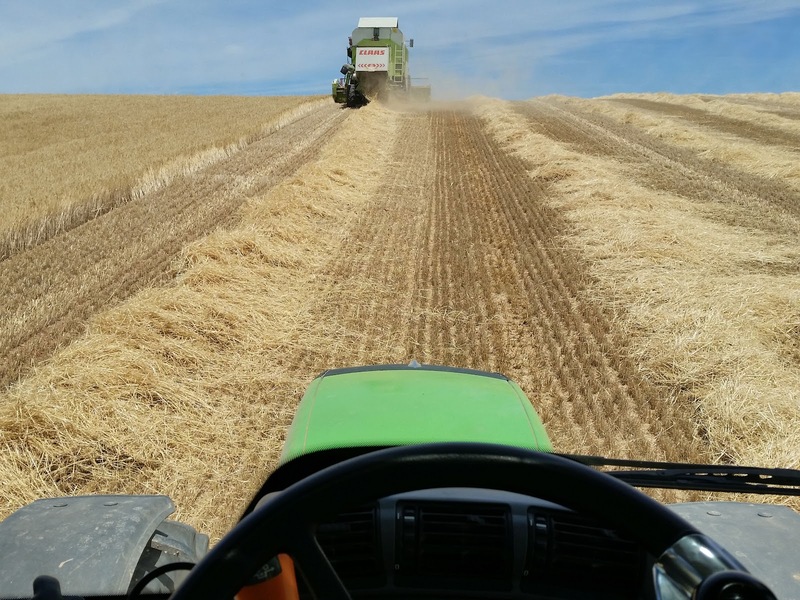 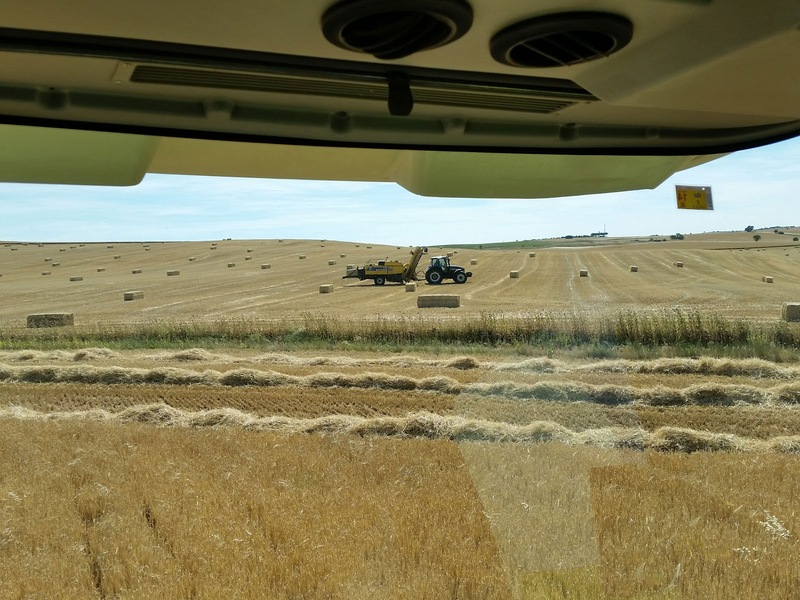 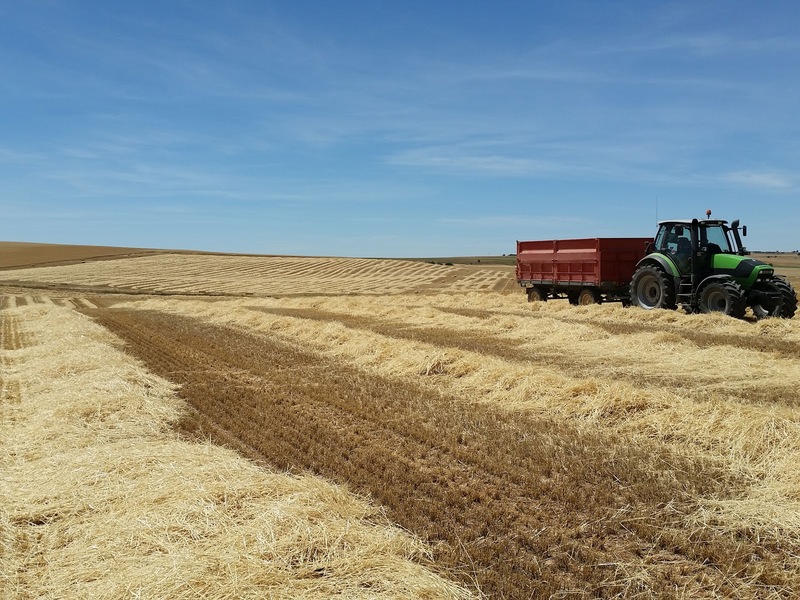 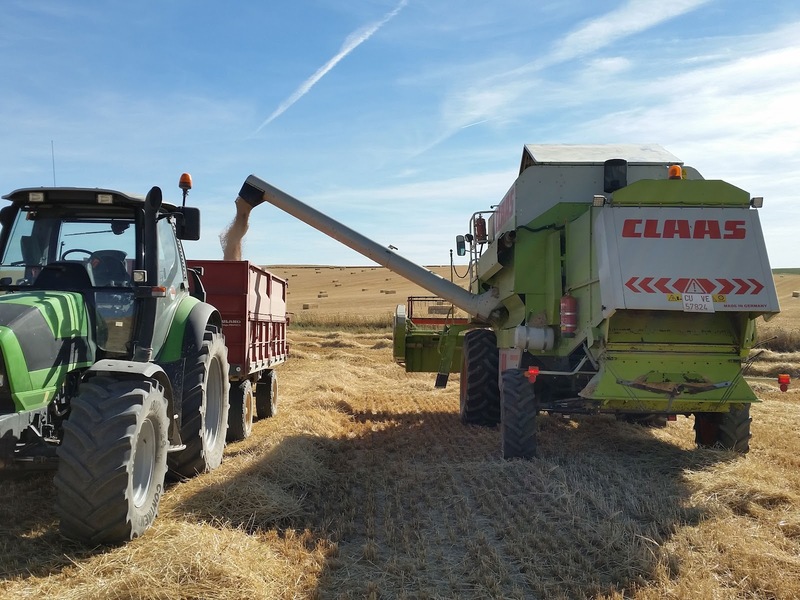 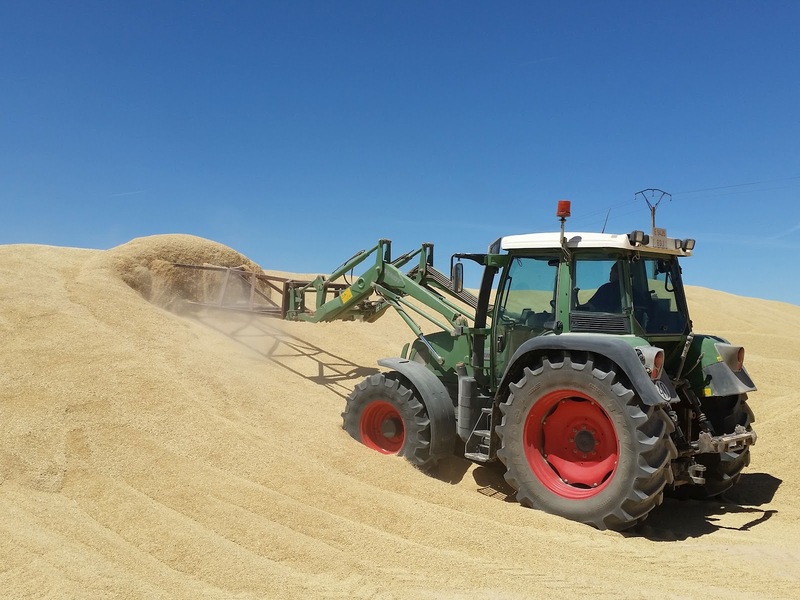 It has been raining from sowing tasks (it rained 350mm approximately in our area) and yields, e.g., winter barley are being about 6,000 kg/ha. 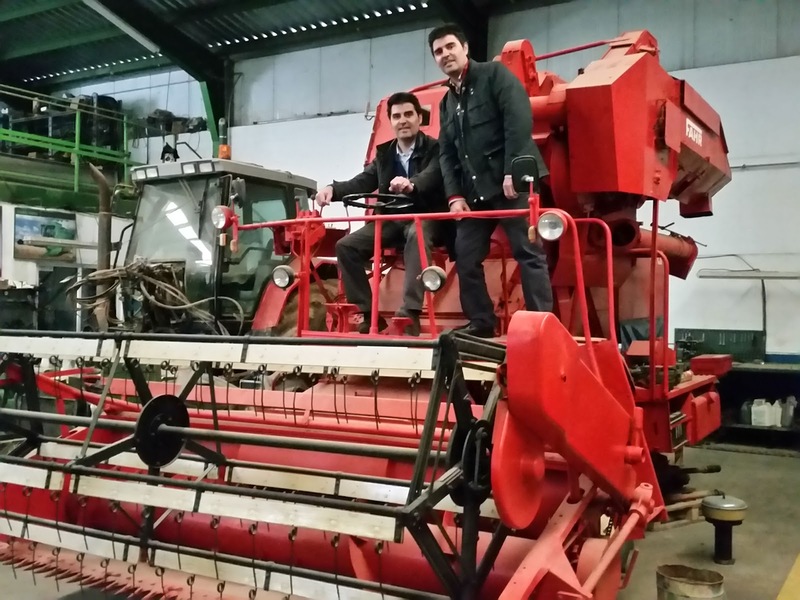 They are great news because the last two years were very poor.